Today will be the first pilot episode of the newest Teleserye in ABS-CBN Kapamilya Gold. If you're one of Carlo J. Caparas' comic collections fans then perhaps you'll enjoy watching this and wanting to see everyday's episode. 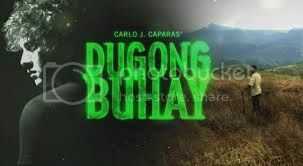 Dugong Buhay is a story about the lifetime search for vengeance of a hacienda worker named Simon against the cruelty of the De Lara family. Because of the burning hatred Sion is going to use his own son Victor played by Ejay to destroy the people who maltreated his family. ABS-CBN’s newest Kapamilya Gold action-drama series “Dugong Buhay” with a talented ensemble comprised of some of the country’s finest actors such as Nonie Buencamino, Sunshine Cruz, Christian Vasquez, Arjo Atayde, and Ejay Falcon and boasts of a powerhouse cast like Pen Medina, Ana Capri, Lito Pimentel, Ketchup Eusebio, Yam Concepcion, Jed Montero, and Ronnie Quizon; with the special participation of Carlo Aquino, Ahron Villena, and Yen Santos. 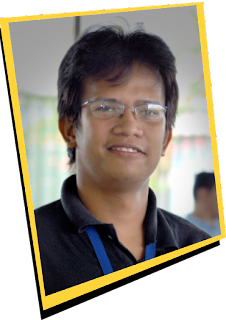 For more updates, log on to www.abs-cbn.com or follow @abscbndotcom in Twitter.